Guys. I’ve waited fourteen years for this. I’ve spent two-thirds of my life waiting for a film that, at many points, looked like it would never happen. Now it’s finally upon us, and I can almost guarantee that no one you know is more excited than I am. After that strenuous wait, it finally came: the night of Thursday, June 11, 2015. 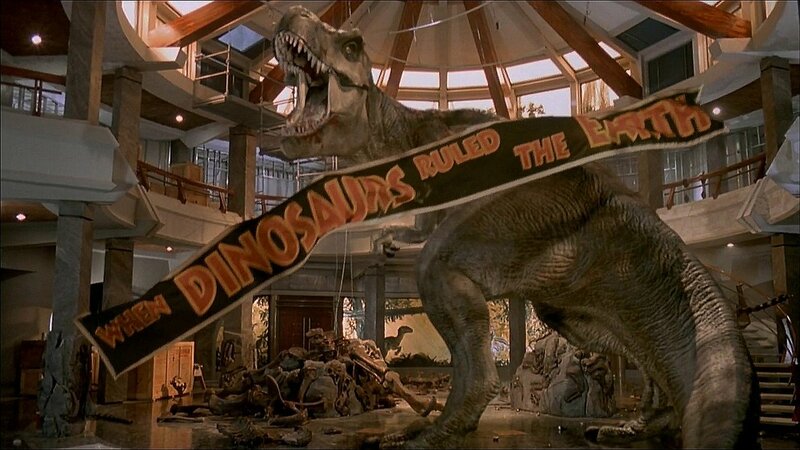 Entering a local movie theater, with a little over an hour to spare before a 10:40 showing, were a group of twelve excited teenagers – my brothers, plenty of friends, and myself (in my Jurassic Park tee). Which, as those who have seen the movie know, is taboo if you work there. Despite an at-first jarring change of scheduling (some of us had to work early in the morning and theaters don’t really bother with pure midnight premieres), the night went off to a great start. Friends who hadn’t seen each other in a very long time cheered upon meeting again, and after learning that the showtimes we intended to see was already sold out, we quickly found an only slightly later screening at a different (and generally cheaper) theater. And once we finally got there, the hour passed quickly and we secured almost a full row for ourselves with the best seats in the house. The atmosphere was kinetic – you could feel the hype, the stirring and swelling of the crowd’s mood. Oh yeah. The movie was awesome. The first thing I would talk about is the climax, but that ending must be seen to be believed, so I won’t talk about it. Instead I’ll start by saying I was genuinely ecstatic during the build-up to a full view of the park, featuring that classic John Williams theme, because at long last we got to see John Hammond’s vision finally come to life. Yes, the first movie was all about why that vision could never work out, but that just adds a layer of intrigue to seeing it happen – even if it’s slightly perverse, like watching a forest fire and knowing you can do nothing about it. And yes, we know it’s doomed, but I enjoyed it while it lasted. Besides, just look at the place! Instead of taking a rail-guided Jeep tour through different paddocks in the jungle, guests can ride next to sauropods and stegosaurs in giant glass ball things called Gyrospheres. The Jurassic Park Visitor Center was replaced with a state-of-the-art Innovation Center, featuring moving hologram creatures and a digging site for little ones. Speaking of which, the Gentle Giants Petting Zoo is the cutest thing ever you can ride a baby Triceratops and hug a baby Apatosaurus why isn’t this real I don’t care if Velociraptors eat me alive as long as I can live out my childhood dreams like this cute. But anyone who’s been to Islands of Adventure knows this one is a bad idea. It’s not just the park itself that’s thrilling: the movie was a lot more engaging than I expected. For starters, it was actually a bit scary. 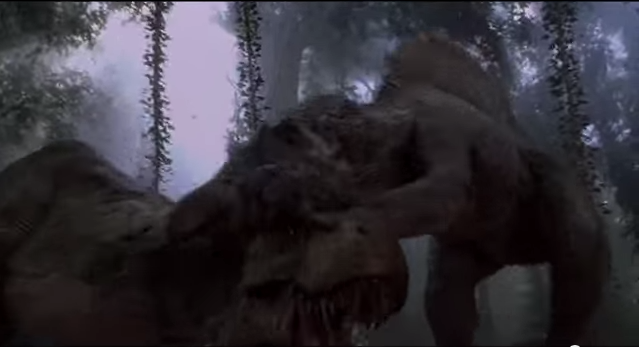 All we knew about the main monster going in was that it was a big meat-eater like the T. rex and that it was going to escape and wreak havoc, both par for the course in this film series. 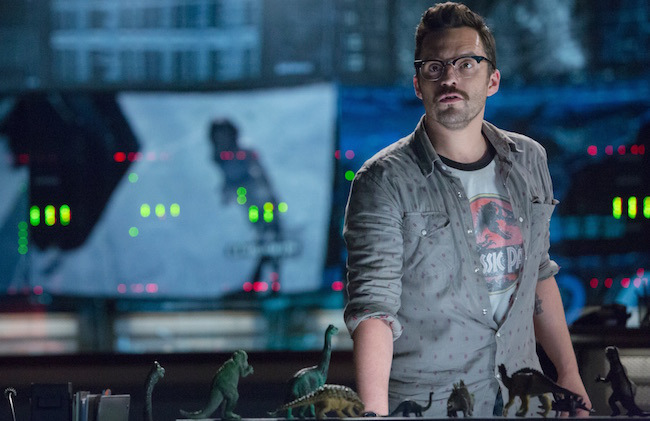 But as the movie goes on and we find out more and more about the Indominus rex, it gets more disturbing. This monster of a dinosaur, created in the lab specifically to be threatening, is a psychotic killing machine with a slew of hidden tricks. My youngest brother said he wouldn’t have been surprised if it sprouted wings and took off with the Pteranodons. Oh yeah, those guys! Remember Jurassic Park III, when we first see those rats with wings attack? In that one, it was only one rat with wings. As you could see in the trailers, there’s hundreds of them, and they swarm the guests! What was not clear in the trailer was that it wasn’t just the regular Pteranodons, who were freaky enough but at least didn’t have nasty pointed teeth: there’s also Dimorphodons, which do. So you can either get picked up and tossed around by giant flying lizards or get your face bitten off by the same thing, except smaller and with freaking dinosaur heads. The actual attack scene is shocking, especially because it has the most egregiously brutal death in the movie. Some parts are thrilling in a different way, a more “wow” kind of way. The scene where Chris Pratt’s character, Owen Grady (how did I go this long without mentioning you? ), is first shown training the Velociraptors is so cool. Ever since 1993 we’ve known that species as the smartest, fastest, most vicious monsters on the island. Here we see a guy freaking tame them (kinda). He tells them to lift their heads up, and they lift their heads up! And they just get cooler as the movie continues. Well, not quite like this, but you get the idea. They found the Visitor Center. 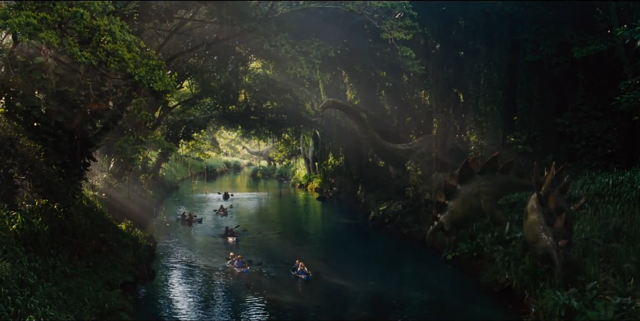 They left Jurassic World and rediscovered Jurassic Park. And for all of us watching, this moment and the whole scene are nostalgically breathtaking. In the beginning, Zach and Gray’s mom tells them to push the green button on their phone when they see it. In the first movie, as Hammond guides Dr. Ellie Sattler into restarting the power, he tells her something like, “Overhead there should be a green button. Push it.” How freaking obscure. That’s how you know a true fan: taking this one-minute fight scene way too personally! Just to prove that I’m not just a corporate stooge paid by Universal Studios to shill Jurassic World (meaning this whole blog was just an overly elaborate scam to convince its few readers to see a film that everyone was already going to see), I will tell you that this movie was not entirely great. There was this one scene where Claire Dearing (is that her last name?! ), Bryce Dallas Howard’s character and the aunt of the token kids, talks with their mother (who spends almost the entire movie weeping) about how she has to spend the day with her nephews. The mother tells Claire that she’ll know the importance of it when she has her own kids. Claire says she’ll never have kids, and her mother has the gall to tell her that yes she will someday. Lady, if Claire doesn’t want kids, she doesn’t want kids. The implication that every woman has a maternal instinct that will push them to have children is, well, prehistoric. And I get that her character arc is about learning to care, both for the dinosaurs in the park and her nephews, but it still bothers me that they had to include that. 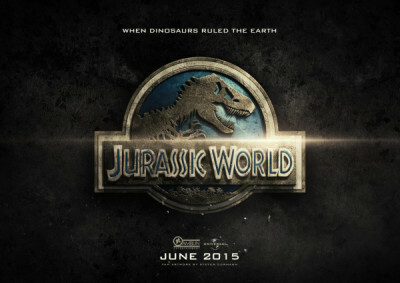 Besides that nitpick, I fully accept that this movie is not as good as the first Jurassic Park. It really is yet another bloated, CG-heavy, summer blockbuster full of shameless product placement made solely so Universal could make tons of money off the JP name in this age of sequels and franchising. Every reviewer and critic saying this is so bold and original. However, just how many movies can be as good as Jurassic Park? Okay, that’s not the best excuse in the world, but it’s clear that Trevorrow and the cast and crew didn’t half-bake this film when they so easily could have coasted on the brand name alone. It’s certainly not Jurassic Park III: these people cared about the property and did their best. It’s got awesome scenes, amazing dinosaur action, Chris Pratt’s magic touch, fun writing, fun acting, and overall it’s just enormously satisfying – at least for a fan like me. Maybe that’s not a professional opinion. Maybe it is sketchy that the first film’s heroes are scientists and the heroes of this one are a grizzled ex-Navy man, a corporate lackey, and a couple of tourists, as the New York Times points out. Maybe it is a cheap cash-in that’s paid off tremendously. But I entered the movie theater as an eager twenty-year-old and left feeling like I was seven and spoiled, and that’s what matters to me. Those fourteen years of waiting paid off – for me, the people who watched it with me on opening night, the thousands worldwide who gave a total $500 million to the film’s box office winnings in the biggest opening weekend of all time, and, of course, to Universal. Roll around in your money, you greedy punks, you earned it. P.S. A quick public service announcement to the people who have sent snaps on SnapChat of the final fight in this movie: don’t. I wrote my own review of this movie (shameless plug please read it I need views) and I agree with you on everything except the “fun writing and fun acting” part. 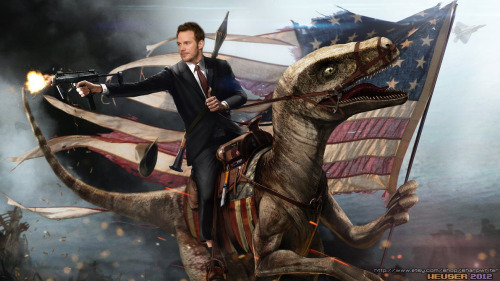 I feel like Chris Pratt was the only convincing actor and the lines were poorly done and nothing that would really be said in real life. I can’t really talk though I’m going to see the movie again. Well, I didn’t say there was ingenious writing and award-worthy acting. Lines like “What kind of dinosaur did they cook up in that lab?” and all those humorously hammy, on-the-nose speeches by Hoskins about how war is part of nature show that it wasn’t meant to be taken 100% seriously. Jurassic World, in my opinion, is more like a really big-budget monster movie, especially with that climactic fight scene.